Reporting to Executive Director or designee, the Organizer/Staff Representative position has the overall responsibility of building local union capacity and empowering current membership through internal organizing and planning and managing and executing representational programs with locals. This position also had the responsibility of carrying out the union's vision for building strength and achieving growth by organizing new members. This position is involved in assisting locals of any size with a variety of occupations and a wide range of responsibilities. These groups may be spread throughout various facilities in a localized area or state or larger geographical area. 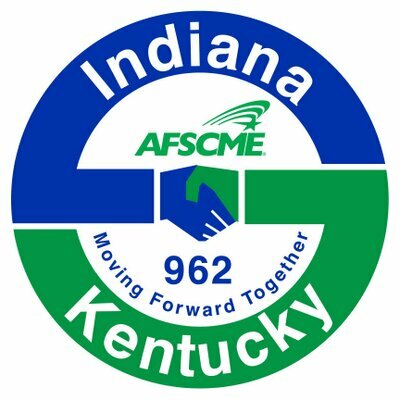 Understands and is proficient in all elements of the "AFSCME Organizing Model"
Actively promotes the union's vision for building strength and achieving growth to current and potential members and leaders and guides their activity on behalf of the union. Develops and leads worker mobilizations for internal and external organizing and political efforts. Assists stewards and other work site leaders in developing strategies for contract negotiations, contract campaigns, internal organizing, anti-privatization fights and other leading programs of the union. In partnership with local leadership, handles all aspects of servicing, including arbitrations and grievances; labor management relations; contract negotiations; and all other duties associated with servicing and with chartering new locals. Conducts research, gathers information, and devises effective strategies for negotiating collective bargaining agreements, preparing for arbitrations and other servicing and organizing activities. Maintains regular communication with leaders and members through local union meetings (i.e. general membership and executive board), job site visits, one-on-one meetings, and house visits to maintain member rapport, monitor worker attitudes and to guide their activity on behalf of the union. Develops and implements appropriate training programs for local unions on a variety of topics. Explores organizing targets to gather data and information, builds a list of workers and assesses interest and plan and conducts meetings with organizing committees and other workers. Visits workers in their homes as part of union organizing and/or political activities. Support of the AFSCME Mission and Work Attitude. Include AFSCME Organizing Committee and International staff, local union officials and members and others as directed by the Executive Director or designee. This position reports to the Executive Director or designee. Works independently, but keeps supervisor regularly apprised of developments during servicing activities. Work is performed in a variety of employment settings including workers' homes, neighborhoods, and worksites. Driving, travel, temporary assignments and extended work hours may be required. Valid driver's license required. Ability to work long hours independently to accomplish union's objectives. Email résumés and inquiries to Ron Richmond – Chief of Staff at rrichmond@afscme962.org.